We've started luring Jamie into our gardening ways. He had his first trip to the markets with Hanno and his mum on Sunday to buy seedlings for planting in this season's new garden. 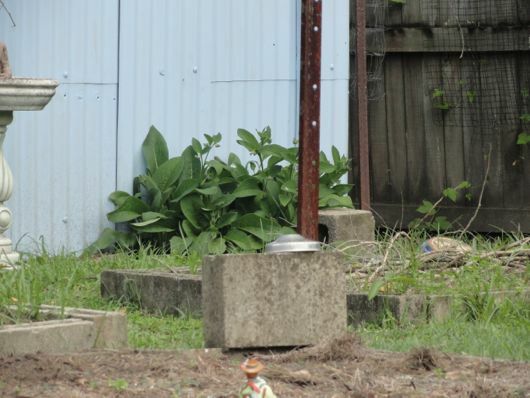 Sunny is keen to try her hand at growing a few things in her backyard as well. She's never been a gardener before but she's starting with some favourites, daikon radish and shallots. I have a ginger shoot I planted up last week to give her. I think later she'll venture into the various Asian greens. She's an excellent professional chef and home cook so having fresh greens just outside the kitchen door will be a real bonus in her new home. Sunny and Jamie helping to water in the new seedlings. Most of you know that one of Hanno's tasks is to produce food for our table. We live in a subtropical climate with good rainfall so vegetable gardening is a way we can get extra value from the land we live on. Summer is hot and humid here so we stop gardening over summer to give ourselves and the soil a break in the heat. We stop planting in November, continue harvesting over December, then start planting again in March. This year we've decided to start early so the first of our seedlings have already gone in. Welsh onions, sage, basil, shallots, calendula, daikon and parsley. Even though one of our chickens, Lucy, has been flying over the fence to peck through the garden, the curly kale survived the summer, along with a few leeks. We'll keep all this going with extra water and a good feed. The comfrey has shot up again after it looked dead during the drought. That's the beauty of those fleshy root plants, they can survive harsh conditions. We'll be transplanting some root cuttings of comfrey over to the edge of the compost heap. This is what the garden looks like now. It's bare and meagre but it will only take a short time before it will be full of life and plants producing healthy crops. We have good soil, although when we came to live here 15 years ago, it was undisturbed clay. 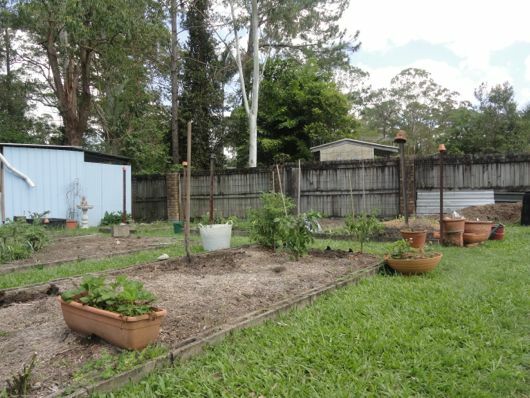 In the first three years, Shane helped me develop the garden and after the addition of compost, cow and chook manure, along with worm castings and comfrey tea and a lot of organic matter, the soil improved out of sight and we are able to grow almost everything we want. We've had to rethink our vegetable garden because of the drought we've just been through. Even though we have water tanks, we lost a lot of oranges and lemons off our trees in the past few months and as a result we won't have our delicious over-supply of organic oranges and lemons during winter this year. We never use town water on the gardens and as a result of the drought, we've decided to install another tank so we don't have to ration out the water again like we did this year. We all know the climate is changing and I can see more droughts, more frequently, in the future. I'm not sure yet where these plants will go. There is a bit of re-organisation going on in the backyard, but for the time being, they'll be fine here. These are lemon myrtle, bay, blueberries and an avocado growing from a seed. We dug up the blueberry bushes and put them in pots a couple of years ago but we didn't look after them properly and they've barely given us any berries since. I've had them in the bush house for the past six month and have nurtured them along and now they're all looking healthy again. This morning I moved them out of the bush house; the two smaller ones are now next to the small tank and the larger ones are outside the bush house. Where they're positioned now will remind me to water them and feed them well and hopefully we'll be rewarded for that with bowls full of blueberries. I've also potted up the strawberry plants we bought this year from Green Harvest and intend to have them bearing fruit in June and hopefully through to September. 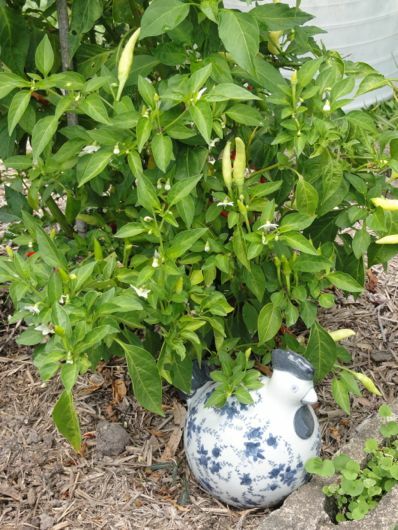 At the moment we have a prolific chilli bush and two capsicums and we added another two. We don't expect them to do much during the cold weather but they will over-winter in the garden quite nicely, without producing any fruit, then start off strong when the weather warms up later in the year. The curly kale survived the hot summer and as it's such a strong strain, and in Hanno's view, the best tasting kale, we'll keep that going too and probably add a few more plants. I have curly kale seeds to I'll sow in the next few days. I hope to have most of our seeds for seedlings planted on the weekend. They'll sit in the bush house until they're ready to plant out. We have seeds for legumes, greens and root vegetables too. Hanno will plant them directly into the soil when it's been enriched and dug over. We've also started to talk about having day-long workshops here at home. The first would include making bread and soup from scratch, that we'd all have for lunch, and then some outside work to talk about keeping chooks and our way of organic vegetable gardening. 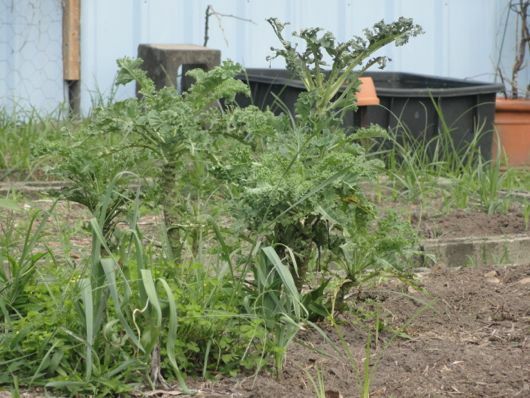 It would help new gardeners get on their feet and would bring in a few dollars for us as well. We've only just started talking about this and I guess we're still not convinced there's a market for it. We'll have to wait and see and if all goes well, the first of those might be in June. We've been gardening for many years and have a lot of information to share and as far as we're both concerned, if we help encourage a few more people to produce food, we'd see that as time well spent. Are you growing some food this year? We've experimented with some different things over the last year. Right now, we're still getting some freezing temperatures at night, so not much going on in the garden. We have a couple of broccoli plants, some Parisian carrots, some greens . . . and a crazy grape tomato plant that my five year old planted from seed three years ago. The plant barely has any leaves, but it's still producing tomatoes! This spring, we are going to concentrate on tomatoes, peppers (I'd like to try to make some pepper jellies), herbs and just a couple of other things. We are going to try pumpkins for the first time, in the hopes of having some for Halloween. We're also going to buy dwarf lemon and lime trees for containers for the patio. I've really been inspired by the last several months of reading your blog--we are making a serious effort to grow things this year, rather than having the odd pot of this or that. Now, if this beautiful weather we're having this week will just hold . . . Ooh..I know that your garden is not exactly in the full bloom, but compared to ours here in the Northern hemisphere it looks rather lovely. Your post got my gardening fingers awfully itchy, but I will have to wait. So YES, we are going to grow all sorts this year. My biggest excitement is that I have bought some asparagus seeds and am going to plant enough for us to have for years to come and hopefully to give away some roots next year to other gardeners. I get so jealous when I see happy vegetable gardens like yours. We built our house on 3/4 of an acre 3 years ago, this year we are going to get a bob cat to terrace out some of the block once that is done I ca begin a proper veggie garden I am itching to get out there!!!! My husband started our veggie patch last year. He has been quite unwell for over a year now with glandular fever and we've both found his garden has given him a relaxing hobby and that his health and mental attitude has improved considerably as a result. Combined with me doing all our cooking from scratch and we feel we're well on the way to teaching our two young children the importance and satisfaction that comes with doing these things for ourselves. Our 4 year old loves helping carry inside "today's harvest" and our 19 month old will pick a nashi pear on our way out to walk her brother to school every day. I only feel a bit guilty that I'm not supporting our local, organic grocer as often! Sara, I think gardening is like a tonic for the soul. Being connected with nature in such a raw way and breathing in that fresh air can melt away a lot of stress. Gardening has many important lessons for young children so even before you get the vegetables into the kitchen, you and your family are reaping the benefits. I send my best wishes to your husband and hope he recovers his health soon. I found it heartening to read that you started with poorer, clayish soil. I struggle to produce anything in our soil which is shale with heavy clay underneath. All soil here we had to bring in and, because of our busy lives, we haven't nurtured and built it up as best we could. Time to stop being so busy outside our home and look at nourishing what we have at home in terms of our garden. 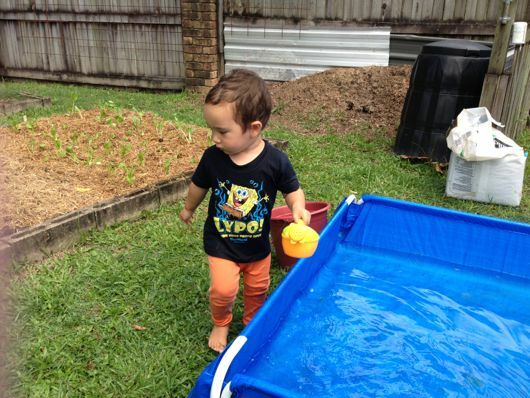 So...to begin I planted some lettuce and spring onions in a raised bed and gee it felt so good to have hands in the soil, planting with my young child. He's grown a sunflower and shows everyone who comes over. We also managed some lebanese cucumbers this year and they were best I've ever tasted. That's our beginning...that and some sheep manure from a good friend I think! Clay holds a lot of nutrients but in its raw state you can't access them. 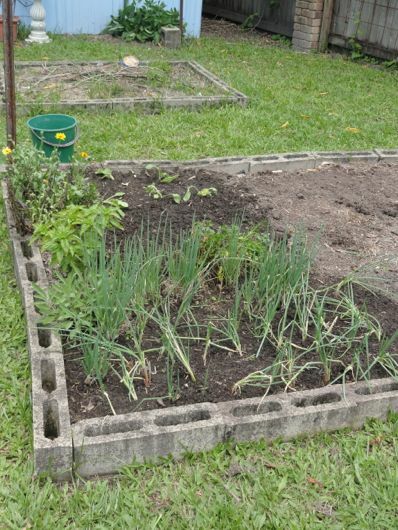 Adding compost, manure or any organic matter will help break clay up and release all its goodies. Well done on your lettuce, spring onions and cucumbers. Another child in the garden! Excellent. I had a problem with our kale being decimated by bugs :/ I was upset because I love Kale and it is super good for us - Curly Kale more bug resistant? Kate who posts here from purple pear farm just down the road from us, runs workshops like that of which you speak - my partner just did their preserving workshop and LOVED it - she learned so much - I think you should go with it! Just start small and let word of mouth get round - there is definitely a market for it, and once we purchase our own home, our plan is to do similarly once we are established and know what we are doing - ha ha! Loved this post! Thanks Rhonda! But having said all that, I do believe curly kale is a tougher kale. I am just wondering what has made you decide to start the garden earlier this year? When to start is something I am always debating so I would love to hear your thoughts. It is a delight to see children involved in gardening and discovering where their food really comes from at an early age. Our granddaughters love being able to spend time in our garden when they visit. Hi Fairy, it was the weather. You're just a few minutes from our place so you would have noticed the cooler nights and much less humidity. That was our signal. Thanks Rhonda. I was thinking the same thing but then wondered if I was getting a little over-enthusiastic and Mother Nature was just teasing us. I might get a few punnets of seedlings and get started this weekend. I'm loving our veggie garden, and know that it's time for a new planting but our garden is still full of summer produce. So I'm not sure what to do. But our tomatoes, chives and potatoes are coming along so well. Clare, take out the tomatoes that don't look healthy and keep those that have fruit and are flowering. The chives will probably keep going through winter, the potatoes will be fine as long as there isn't too much rain. Plant around everything you want to keep. Start off your cabbages and green leaves as seedlings so they're already advanced when you decide the time is right to plant. I love the photo of Sunny and Jamie helping with the watering! And how amazing how many things you are able to grow. My veg patch is still a work in progress but last year I managed potatoes, tomatoes, dwarf peppers, lettuce and blueberries - not too bad, given the rainy weather (and slugs). I am hoping to do more this year. You did well with your garden last year, Kirsten. You can build on that and do more this year. You always inprove year by year with gardening. I'm still learning and I've been at it for over 30 years. Workshops I would drive down for Rhonda, Would be very interested. I learn best by hands on doing as well! Now I have conquered the soap hurdle, time to conquer the gardening hurdle!That is the last one for me, I too have clay, we are in a new estate and the soil has never been tilled before. It is heavy and kind of light brown. The front garden bed we just keep mulching and growing anything that will survive. After two years we are getting worms! So excited. But for veges I would be interested to see how you fixed your clay as I see you plant direct into the ground. 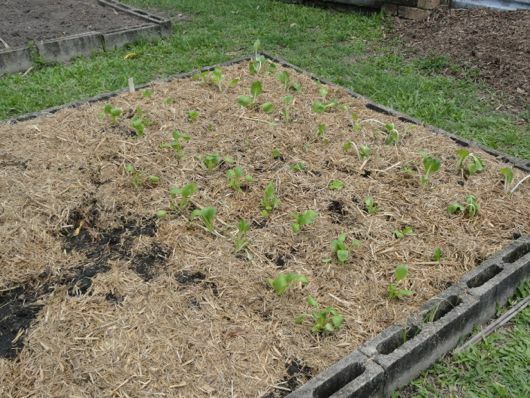 Julia, I'm gardening on clay in Tasmania - we've found the best way to get a good depth of soil going is to lasagna garden (layers of straw/othermulch/compost/manure, any topsoil we can use) and you can plant directly into this. We're also trying hugelkultur on two new beds this year but I'm not sure yet if it will work! Raised/deep bed methods work best on heavy clay soils which should not be walked on as this compacts the soil. Also don't forget to add a good amount of grit as this will help aerate the soil. 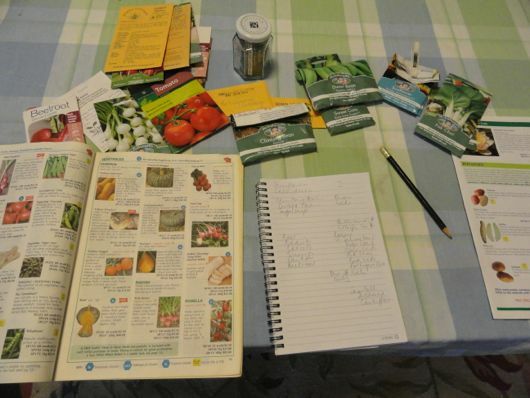 I would love to do a veggie garden workshop with you, Rhonda! I have tried and tried to get one going, with no luck. Recently, I potted up some herbs and they are doing so brilliantly but my SIL gave me 5 pots of tomatoes and they are looking very sad. I think it's the soil but it might also be the position of where I'm planting. I just don't know. Would love to know more about your greenhouse too and how to use one effectively. I had grasshoppers on our (non-bearing) orange tree and made a spray of chilli, garlic, detergent and hot water (think I got the recipe from Burke's Backyard on the net) and that seemed to deter them a bit (though not entirely). Anyway, I'll be looking out for your workshops if you decide to go that way. I would be really keen for the workshop, particulary the garden ones! Lucky I dont have far to drive LOL! Rhonda if you do your workshops on Mondays or Fridays I'm there. I live at Yandina and it would be so good to learn from you. I'm going to try a different version of our vegie patch this year. We previously had a no-dig bed, about 3 metres square, but during the last few months of pregnancy and the first few months after the birth of my 2nd daughter it got so neglected and overgrown with weeds, we ended up just harvesting what we could (we still got a stack of strawberries, tomatoes and potatoes!) and then composting the remains and we now have no vegies growing. My plan is though, to do a couple of raised beds as like a boarder along a couple of walls of our garden shed. I'm thinking we'll do them about 50cms wide and each wall is about 3 metres long. Rhonda, the workshops sound like a fabulous idea. I've found there are more and more people wanting to learn how to do and make things, and they like to see examples and designs of gardens, and how things are done. At present I'm not growing a lot; I wrote today about a rat problem and we're really going to have to rethink a few things around here! I was also going to ask why you started planting early this year. I am anxious to get started, but we are still getting quite a few heavy downpours up here in the tropics, so think I will still wait a few more weeks. Workshop count me in, I would have to travel from Victoria, but would enjoy a short break on my own, or with a like minded group travelling up from Melbourne. I still have alot in my garden yesterday picked potatoes, tomatoes,zucchini, beans, snow peas, apricots. With plenty to come. My experiment this time is for three square foot gardens on top of my tomato garden, and the zucchini, beans, snow peas garden. I have already found it interesting to limit myself to a few vegetables for each square. So far I am growing broccoli, cauli, onion, lettuce, (all from seed). I also have basil mini capsciums, garlic, spring onions, marigolds (so cute) and bush beans. See how I go. All well so far. Hi Rhonda, Firstly my apologies for lack of communication of late...I have been popping in for visits but just no time or brain energy to comment sometimes... Looks like you've had a lovely start to the new year. I'm sure your garden will be growing, lush and productive in no time. I think it's a truly fantastic idea that you open your home for workshops, There is no better place to learn homemaking skills than in ones home! Oh yes Rhonda, there's a market for it, i think everywhere. I would even take a day off work to attend but i think you are a bit far away. If any of the ladies around Melbourne are keen on running a similar workshop I'd be in like a flash. Your garden has certainly recovered fast from those very bleak photos you posted not long ago. I was just wondering if anyone else has problems with canetoads in there vege gardens? They seem to love burrowing into the damp soil at night, which is a real nuisance when you have young seedlings or seeds. I find myself on the war path every night, dettol spray, nightie and gumboots!! Many people think it's invasive but it's not. The problem with it is that you have to be sure where you want it to grow because if you try to dig it out later and leave a piece of root behind, it will regrow. But it doesn't run like bamboo. That clump you can see in the photo has been there for almost 15 years. It loves water so if you have a wet area in the garden it will be fine there. Looks like your proposed workshop is already full Rhonda! I think it's a fantastic idea, I'd come too but it's definitely too far for me in the UK. With all this hoo-ha in the UK about horsemeat in the burgers etc and school kids not being able to cook and them trying to re-introduce cookery from scratch into the school curriculum, you'd go down fantastically well here. Gardening season will be starting next month for me, and with all the snow and cold we have, it's so nice to look at your beautiful green pictures! Hope you keep us all updated on your fruit bushes and the avocado tree- it should be neat to see how it turns out! This year I'm growing some less commonly known fruit varieties that are well suited to our climate- honeyberries and seaberries. Planning out the garden is so exciting! Curly kale is one of my favourite things to plant, and I would definitely agree with Hanno- it is the best tasting. Happy Gardening! I start every year with the determination to grow, and then things get eaten by slugs and snails, or sat on by the cat...and I just lose enthusiasm again! I do have some thoughts this year that we might settle on growing just the things that we already have seeds for. Might be able to do some potatoes too mind, as our thieving next door neighbour has moved out! 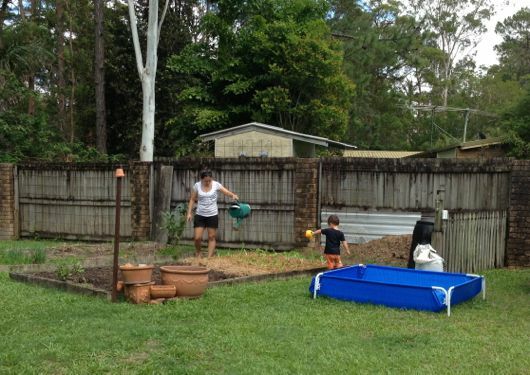 Hi Rhonda, Thank you for the post on gardening. Here in the northern United States we are still snow covered. Next week we will be starting some of our veggie plants from seed. The only thing in the garden now is the garlic, which is planted in September and harvested in July. We have a small patch of asparagus which we will be expanding this spring. We grow peas,potatoes, 4 kinds of tomatoes, green & red sweet peppers, hot peppers, kale, rainbow chard, eggplant,Brussels sprouts and several kinds of lettuce. I also have a big herb garden.Since our growing season is only a few months long we grow enough food to freeze, dry and can. we also go to the farm market for things we do not grow. I love the idea of a home workshop. I think that it is so much better to see first hand who something is done. Please post pictures of your workshop when you have it. Happy gardening from Susan, Michigan U.S.A.
Hi Rhonda, so great to see your pictures here, we're in a different climate zone and seeing your photographs makes me so excited about the garden season that is to come! Hello Rhonda, I'd love to take part in your workshop on organic vegetable gardening. Unfortunately you don't live round the corner... Have to look for a cheap flight to Australia! In Germany there's definitely a market for workshops on gardening and cooking. Why shouldn't that be the same in your area? Wish you and Hanno good luck! Best wishes from the South of Germany. Heike. I think workshops would be a great fit for you, and if I loved closer (on the same continent) I would definitely be there. We are growing simple things this year as we are expecting a baby right in the middle of summer. Carrots, beets, potatoes, greens at least. Things that aren't fiddly and won't require daily attention. It's a much reduced plan from our normal approach, but I am really looking forward to the simplicity of it. It's almost time for us to start growing, the sun keeps tantalisingly appearing giving me the urge to rush out and plant, but then the next day it can be -1 or lower so I'm fighting the urge. Unfortunately my greenhouse has as many gaps as panes of glass so I can't risk subjecting any tiny seedlings to a sharp frost. I just spent most of the day planning our first big garden. We're doing raised beds, as the soil in the garden area (the best location the property for it) has been eroded after, literally, generations of gardening from the previous owners. 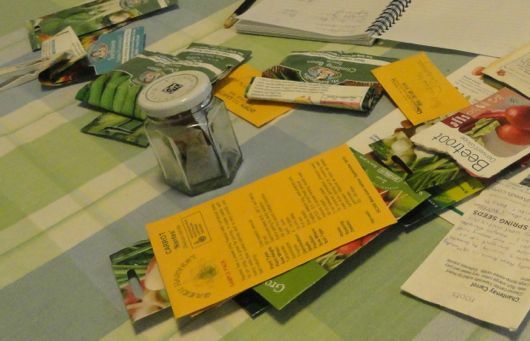 I'm starting my own seeds and direct sowing the varieties that, I understand, don't take too kindly to transplanting. In addition to the garden itself, I've got planned a big composting area, and a space to construct a hoop house toward the end of summer (in the US). 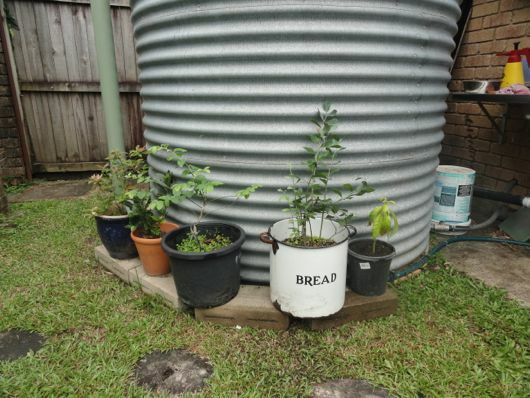 Also, we're really hoping to set up a rain barrel system (there is no water source where the garden is located). I'm excited and nervous--it's a ton of work and we've never done any of this before! Speaking of compost (which I'm especially excited about...haha), have you posted anything in detail about *your* compost pile? I'd love to read it if you have. Cheers! I think workshops are a great idea - there's lots of people (me included!) who want to do all of the stuff you do, but doesn't know where to start! I can't wait for it to stop raining for I can stat planting. I feel like I have learnt so much since my first attempt. Can it really be that simple? Is it okay if we visit?